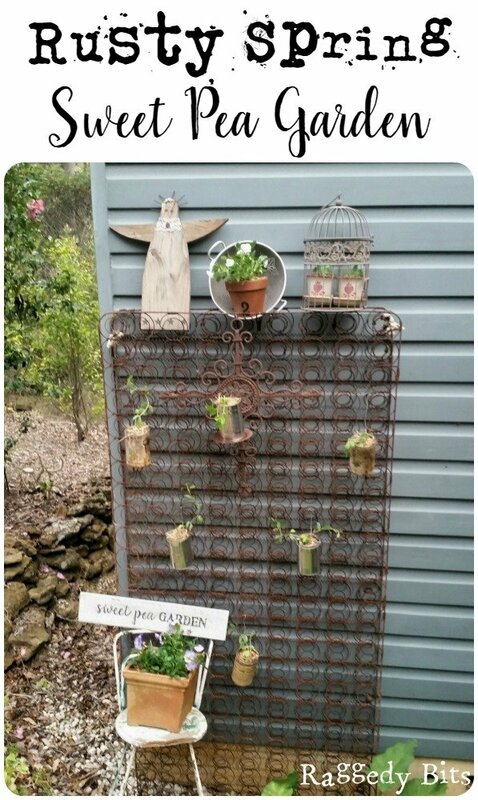 I have always wanted to make a garden feature out of a rusty old bed and after seeing this X mattress awhile back on the kerbside I couldn’t just leave it there now could I?? 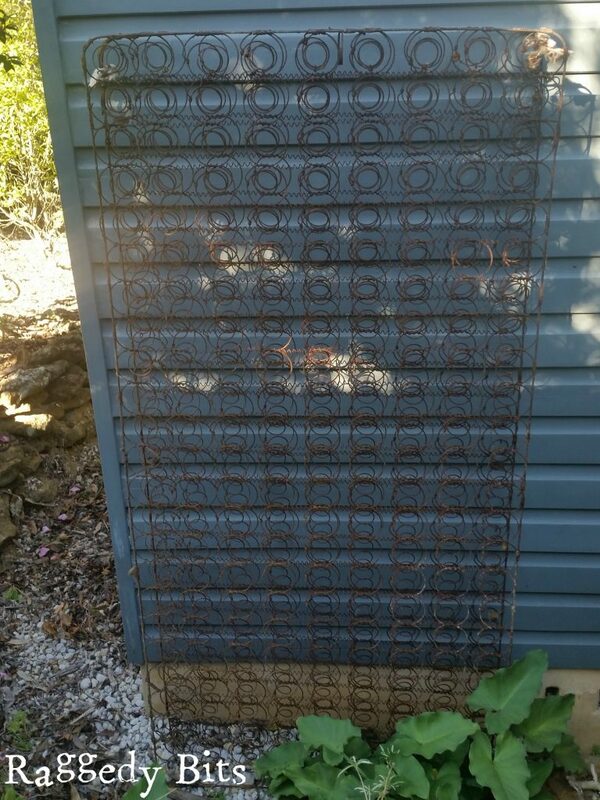 So while I waited for the inspiration to strike with what I was going to do with this newly acquired X mattress, I just left it under our back deck to get all nice and rusty until that day came! Well inspiration has struck, all while planting my sweet pea seeds can you believe? 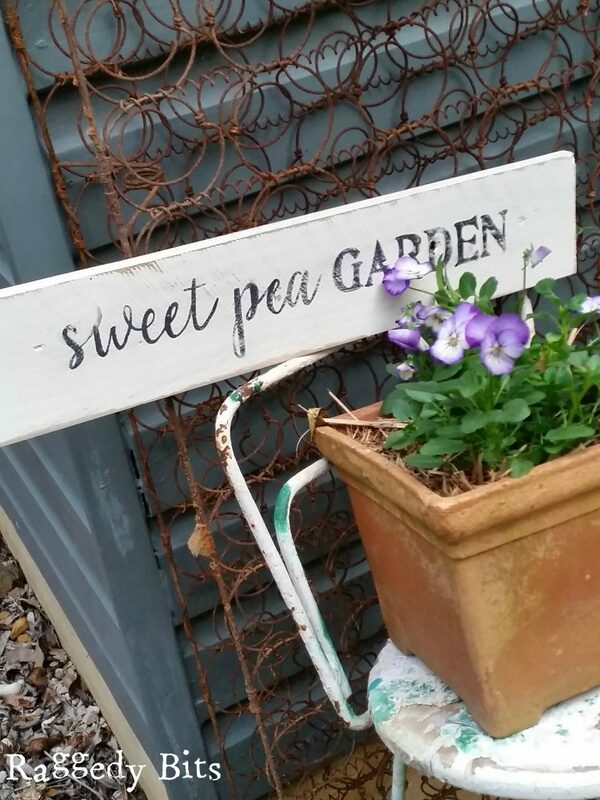 Here is the story about my Rusty Spring Sweet Pea Garden! Wire – I had some left over wire from when we made our Veggie Patch Amazon have the same one we used. 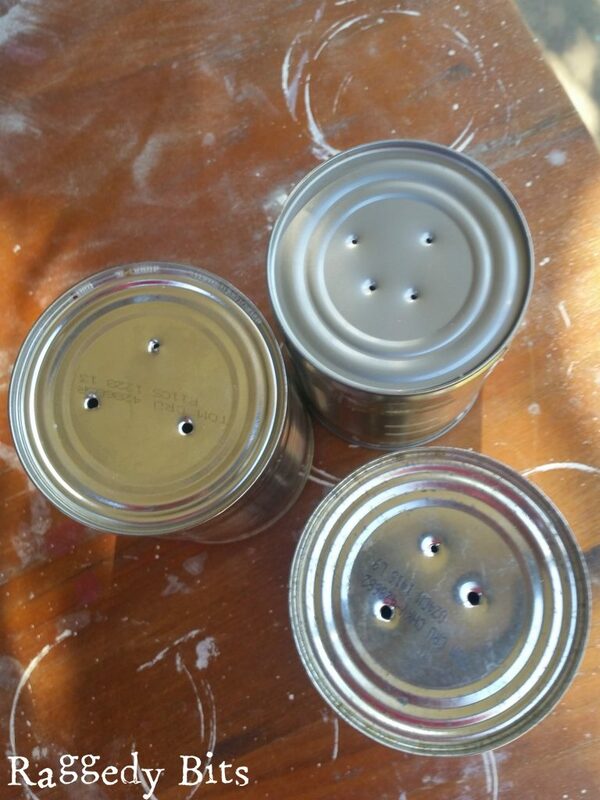 To start this fun project I hammered some nail holes into the bottom of the tins for drainage. 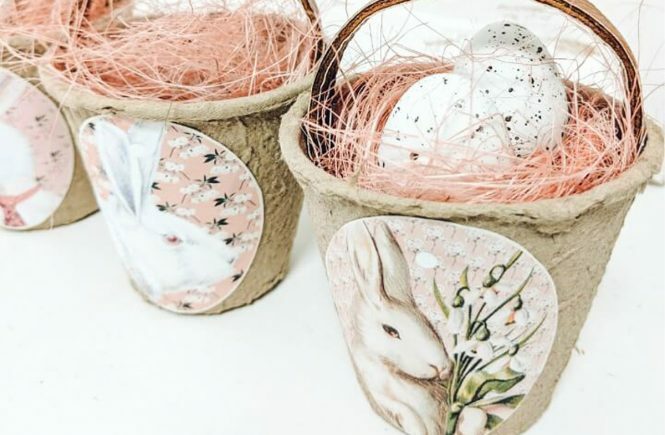 Then ensuring that your gardening gloves are on (as potting mix can be soooo bad for you, especially when pregnant) popped in some potting mix and then sprinkle in your sweet pea seeds or if you have seedlings plant away! I also had some newer tins that I had been saving as well! 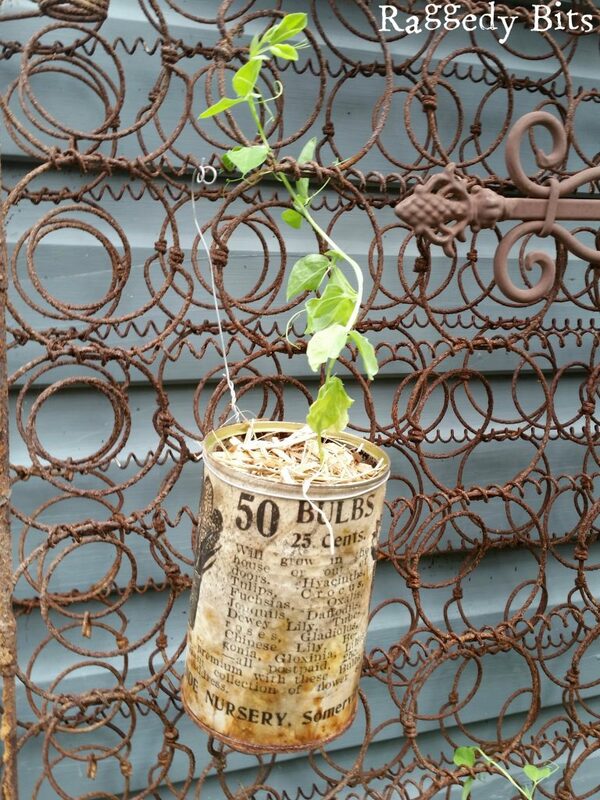 Once your seeds have sprouted or you’ve planted your seedlings, use the wire to attached to the top of the cans an then loop into the to the rusty springs and fasten. I left my planting a little late this year so not many have sprouted yet. I still have more cans to add and also a trough at the bottom of the mattress once they have sprouted. Handy Hint: Make sure you tighten the wire as much as possible so that the tins don’t slip through. I used my pliers to tighten. 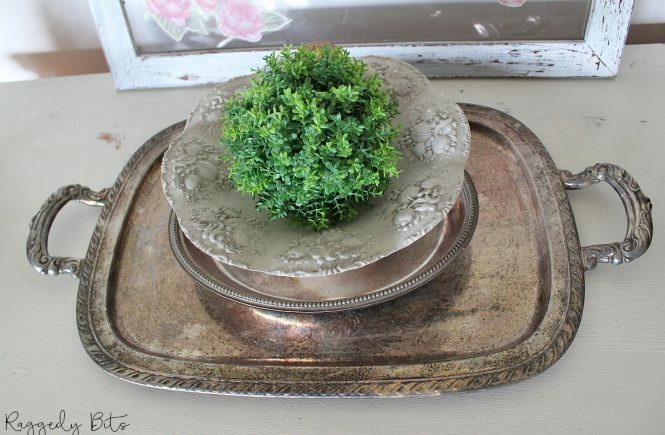 I had a Rusty Candle holder that I hadn’t hung up yet on our back deck so I decided that this might make a nice addition to hang as well. 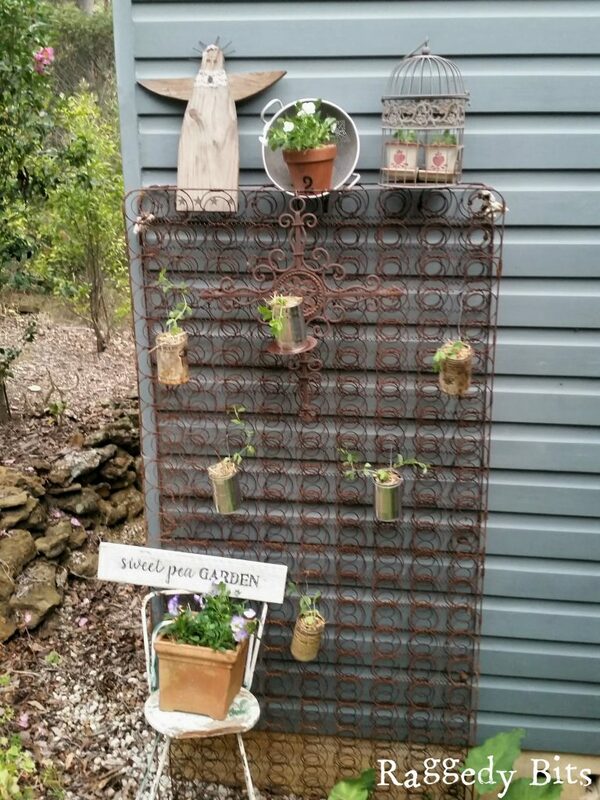 This is where your imagination can go wild and use whatever you like to make it your own Rusty Spring Sweet pea Garden! 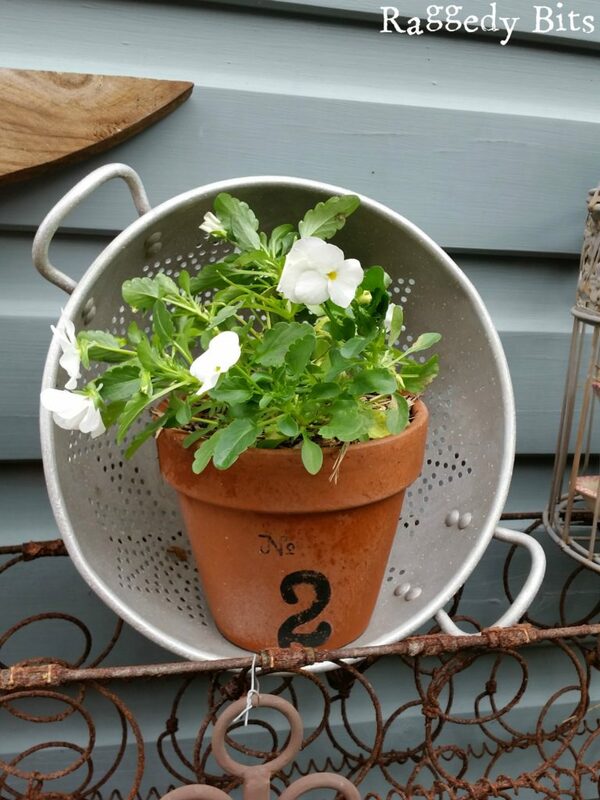 To give you an idea I used old sifter and popped a viola plant in it. Or a rusty bird cage with some more Viola’s! 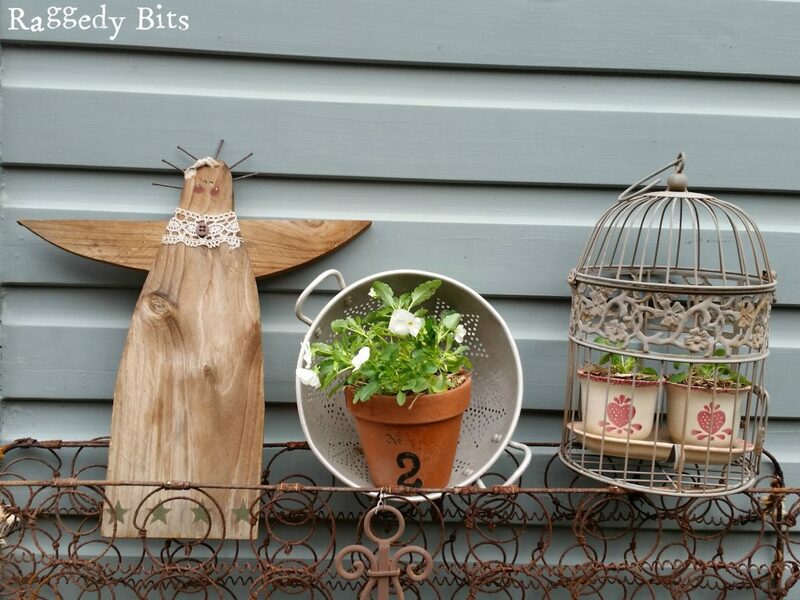 I made my garden angel a long long time ago again using bits of left over timber. 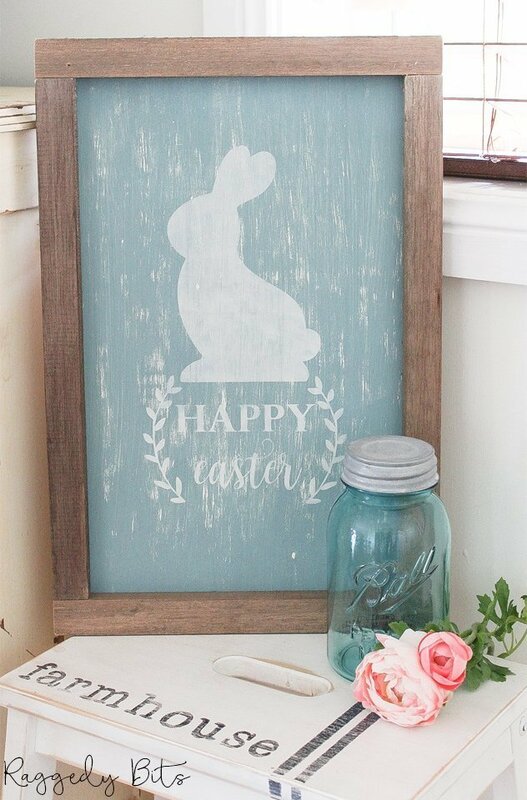 I also made a sign from a piece of pallet wood that I had left over from my Pallet Farmhouse Pantry Sign. 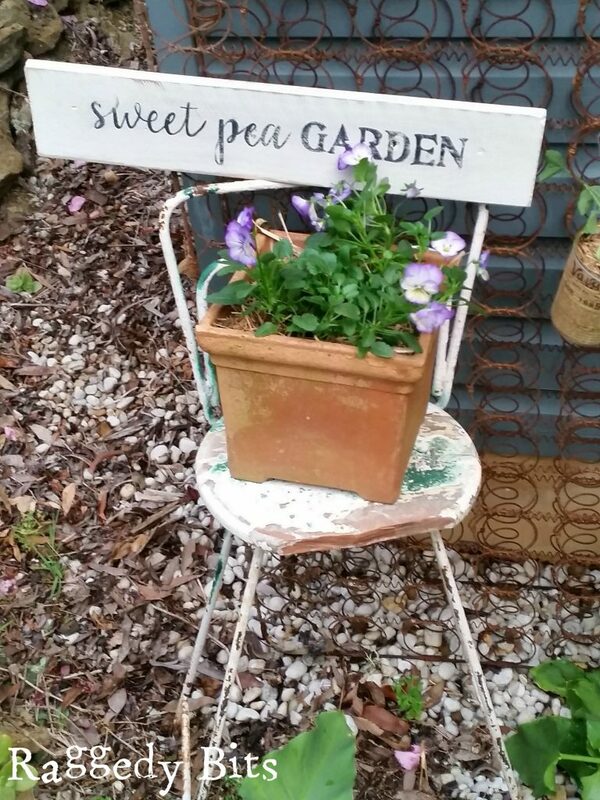 I used exactly the same technique with this Sweet Pea Garden Sign. Whilst it looks a little bear now, I am really looking forward to seeing the sweet peas twist and grow through the rusty springs and then show their happy little flower faces to create a beautiful Rusty Spring Sweet Pea Garden wall for us to enjoy 🙂 I’ll be sure to pop back here once they have grown and flowering to show you how it all turned out. 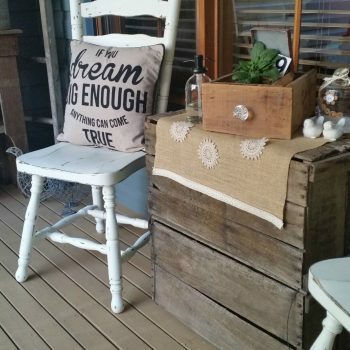 Front Porch Makeover using re purposed goodies. I can’t wait to see how this turns out!! 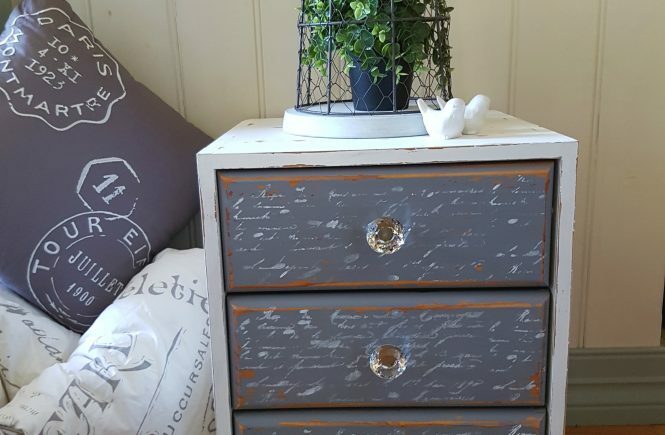 I too love curbside treasures. Just yesterday a neighboring town had their spring clean-up, so my mother-in-law and I drove around and collected some awesome future projects. This is so sweet! Love the sign especially! Very cute! Would be perfect for morning glory vines to climb! 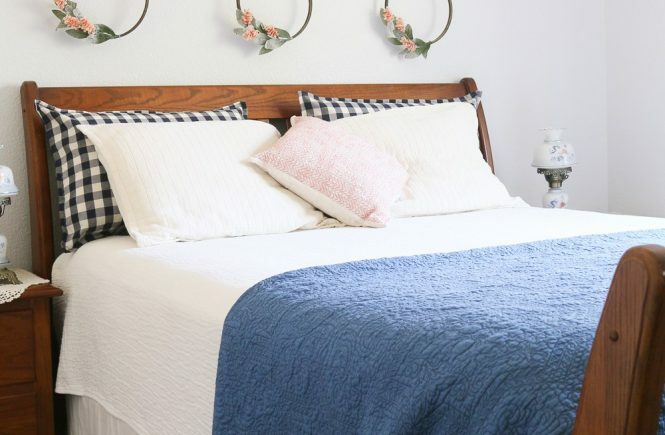 What a cute idea to up-cycle a mattress! 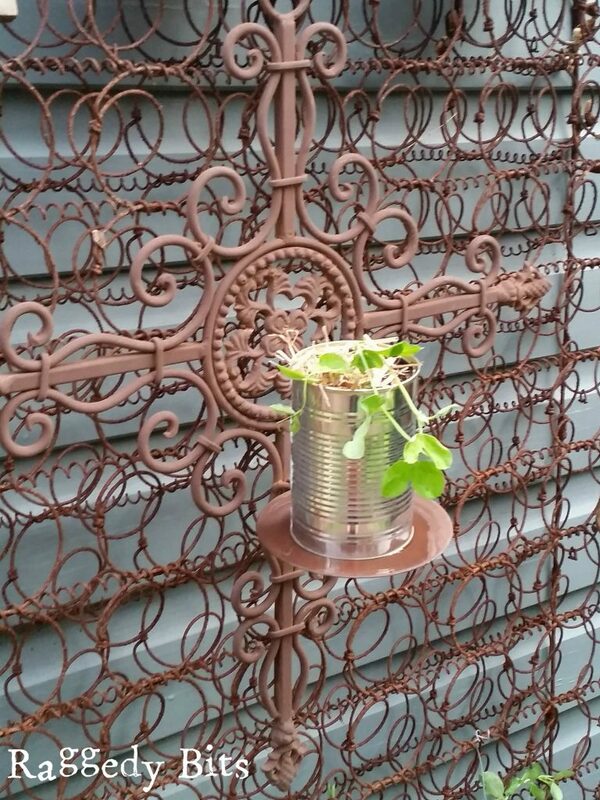 I like the additional tin can idea for plants also. 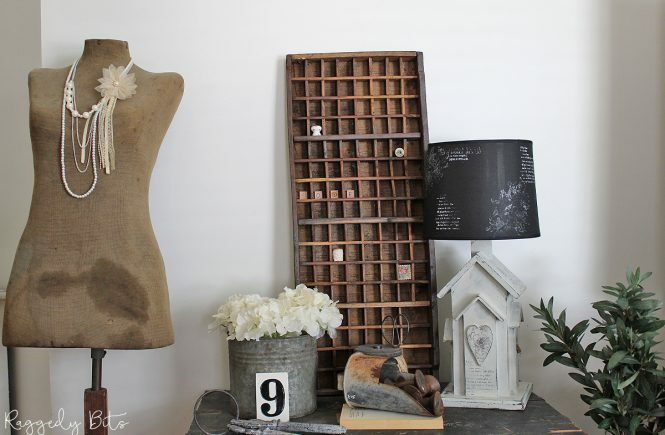 OH my goodness I need a rusty spring Sam! This is fabulous! 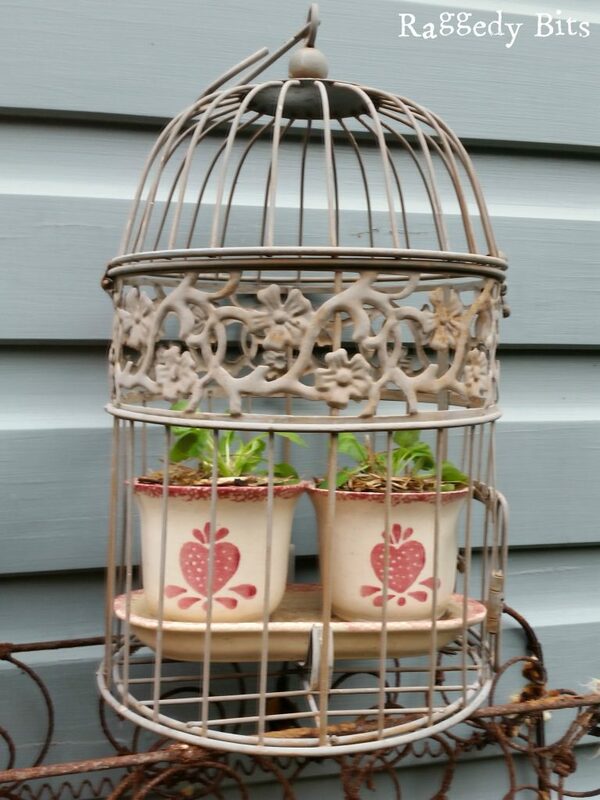 I love it and can imagine how beautiful it must look as well with the sweet peas all tangled around it! 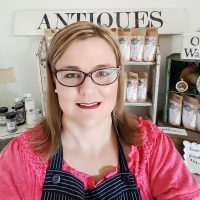 Thanks so much for sharing at Sweet Inspiration!!! 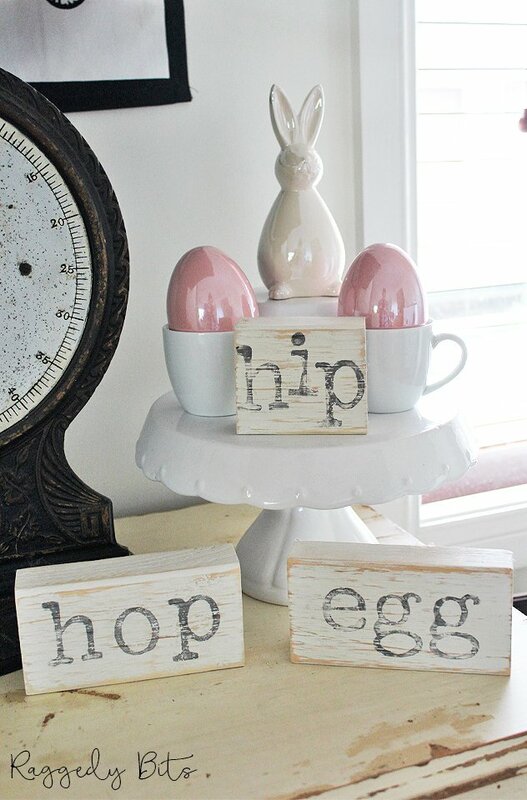 What a great way to use old springs!! I love it! 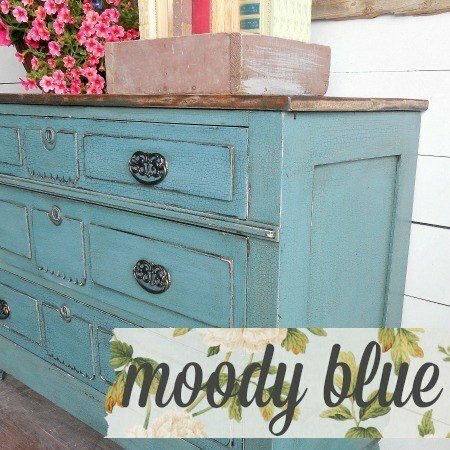 Thanks for sharing on the DIY party! Sam, this mattress spring garden is sooooo cool!! Love everything about it! I can’t wait to see how it looks once the plants are all grown. 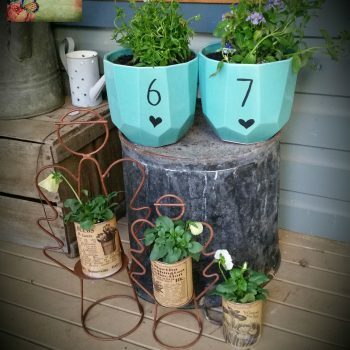 This is rustic gardening perfection, Sam! 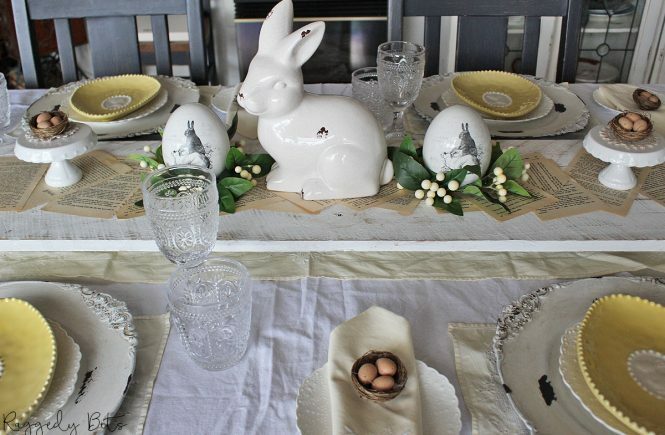 I love the simplicity and vintage feel. Pinning! I need this in my life!! 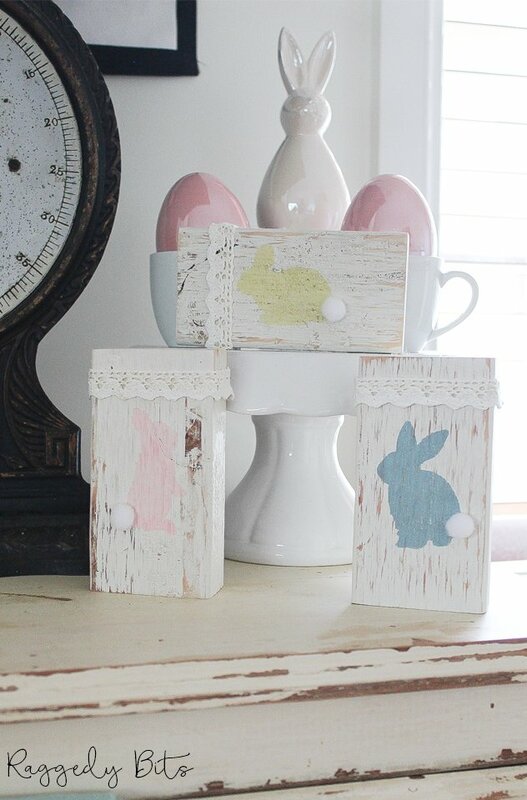 These turned out so adorable! This turned out adorable!! I never would have dreamt this up. 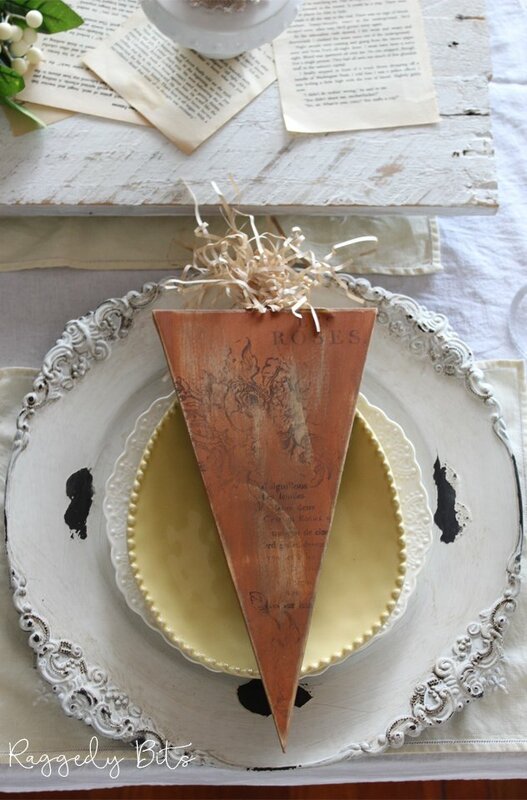 Love the simplicity yet elegance of it. What a great project Sam! !